Over the last 15 years diaspora Jews have become increasingly critical of Israel, and a global Jewish movement that expresses solidarity with Palestinians has exploded onto the political scene. This movement has been extravagantly hailed by supporters of Palestinian rights, and equally extravagantly attacked by supporters of Israel. What does this movement and the reactions to it say about the practice of international solidarity? Does the asymmetry in resources and the gaps in understanding mean that North-South solidarity is in fact mainly a relationship of charity rather than solidarity, and that its prime interest is with the identity development of the activists themselves, whether Jewish or other? Or conversely, do these groups create opportunities to develop relationships of genuine mutuality between diaspora Jewish activists and Palestinian subjects of solidarity? 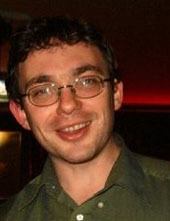 Short Bio: Dr. David Landy is Assistant Professor in the Department of Sociology in Trinity College Dublin. His main research interests are the politics of ethnicity and identity; transnational social movements; and Israel/Palestine. He is the author of “Jewish Identity and Palestinian Rights: Diaspora Jewish Opposition to Israel”, and recently organised a conference in Trinity College Dublin on “International Solidarity: Practices, Problems, Possibilities”.